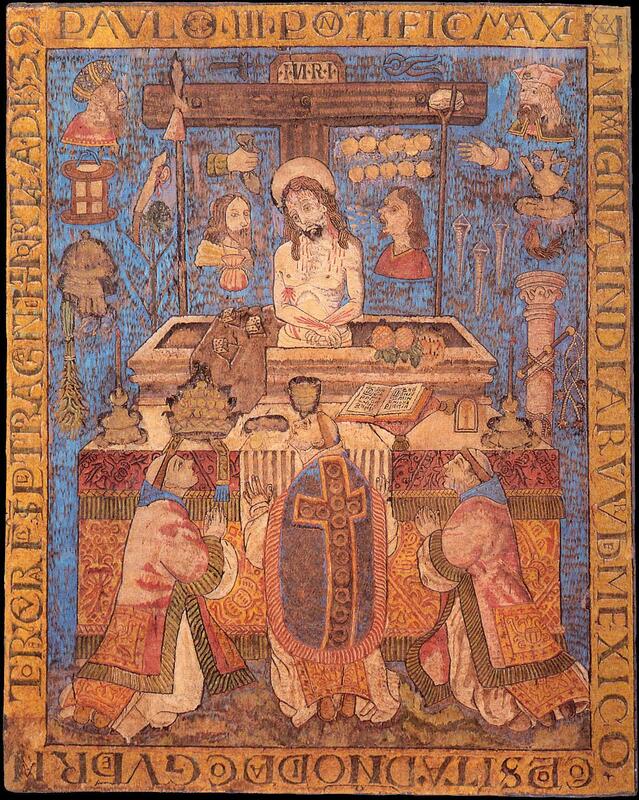 In October 2015, Aubrey’s article “They Become Green: Preciousness and Materiality in the Feather Paintings of Mexico,” was included in the journal Hemisphere: Visual Cultures of the Americas, a publication of the University of New Mexico. The paper investigates the unusual feather paintings of Colonial New Spain and argues that the materials used in their construction were cleverly selected to send differing messages to Indigenous and European viewers, and to offer opinions on challenging issues, such as the nature of God and the humanity of indigenous peoples. This article was adapted from a paper given at San Jose State University's 20th Annual Art History Symposium “Consumed: A History of Indulgence in Art” in April 2014. Image caption: The Mass of St. Gregory, 1539. Musée des Jacobins, Auch, France.